Pat LaFleur covers transportation and mobility for WCPO. CINCINNATI -- If incumbent Mayor John Cranley bests challenger and City Council member Yvette Simpson at the polls Tuesday, history will have repeated itself. Not just because Cranley will have won a second term, but also because public transit posed a central issue that drove prolonged and impassioned debate along the campaign trail. It turns out public transit has dominated city and county elections for nearly two decades. Looking back at the region's recent past with these types of proposals, we see public transit stands out as an area where Tri-Staters chronically and widely disagree. It's a realm of disagreement that, historically, has come at the detriment of expanding the region's public transit services. Rewind back to 2002, when Hamilton County voters faced a ballot measure that would have imposed a new half-cent sales tax levy. 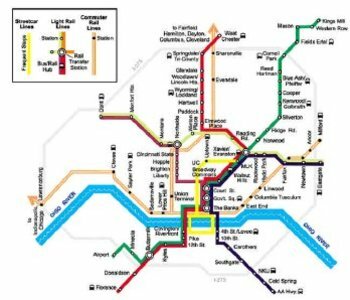 The nearly $3 billion that county tax would raise over the 30-year plan would go toward a plan first envisioned nearly a decade earlier and would ultimately become known as Metro Moves. "Issue 7" -- as it appeared on the ballot -- failed decisively by nearly a 2-to-1 ratio. The $4 billion vision's loss threw a hard blow to thinking big about Cincinnati's transit system. It wouldn't be until six years later that transit advocates started making significant noise about a new idea: the Cincinnati streetcar. This proposal won approval from City Council, but not without real, election-costing controversy. As lawmakers and planners were putting pieces into place to design and build the streetcar loop, opponents to the $150 million project were working literally to stop it in its tracks. 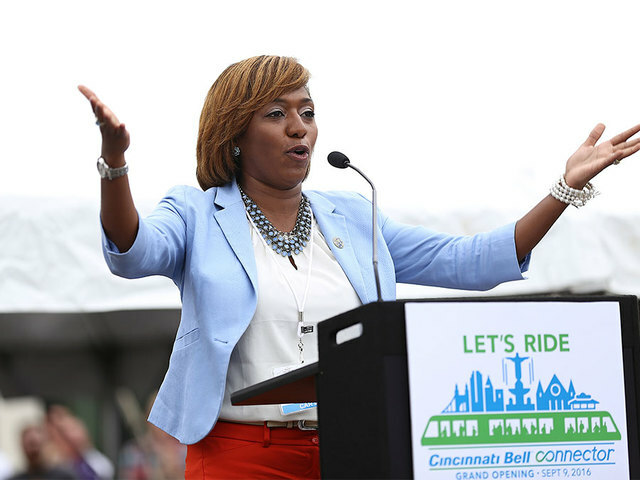 Analysts consistently credit Cranley's 2013 win over then-council member Roxanne Qualls -- a vocal streetcar supporter -- to his ability to pin Qualls to the costly project. In the weeks following the election, Cranley temporarily postponed the project, wishing to re-examine the costs associated with constructing the streetcar loop. This prompted the federal government to threaten to pull the funding it had awarded the project. With a now-veto-proof council majority in support of the project, the moratorium on the project was lifted. The streetcar proved to be a strong wedge issue for Cranley: Four years later, the streetcar remains the stand-out debate of that election. 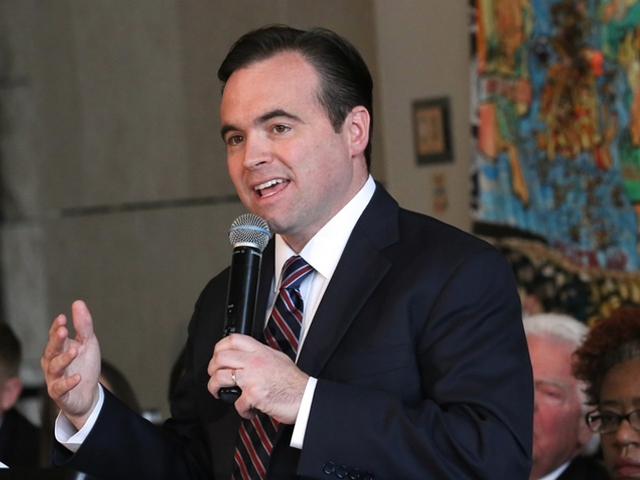 During the 2017 primary campaign, Cranley seemed to take the same approach against Simpson, criticizing her support for a study that would examine options for expanding the 3.6-mile OTR-Downtown loop to Uptown and the University of Cincinnati. The incumbent preferred instead to talk about Cincinnati's Metro bus service, which for years has been working to fill a widening budget gap and connect more riders to more jobs. A 2013 UC Center for Economics Studies report found that Metro fails to connect regional workers to roughly 75,000 jobs. Since winning May's primary election, Simpson has remained vague on the streetcar and shifted her focus, turning the vast majority of transit discussion to Metro. Her passion on the issue has resounded in recent months. "Who would take four hours, round trip, to get from home to work?" Simpson asked during a WCPO-hosted mayoral debate in October. It was a point WCPO politics reporter Amanda Seitz called "an unusually refreshing moment of relatability from a politician during a debate." But, while the two candidates agree that Metro needs help, they fail to agree on how. Cranley supports a county-wide, half-cent sales tax levy to support the transit authority in maintaining current Metro service levels. Simpson criticizes this plan, citing transit authority officials' recommendation that only a three-quarter-cent or one-cent tax levy would fill the persistent budget gap and would expand service. To this criticism, Cranley's answer: At least he supports a concrete plan, pointing to what he says is Simpson's lack of a real solution. Now, with voters hitting the polls, only time will tell how public transit might sway the election results. We'll see if history repeats itself again.